Pictured: Oliver Burton, who won the REINSW Novice Auctioneers Competition. 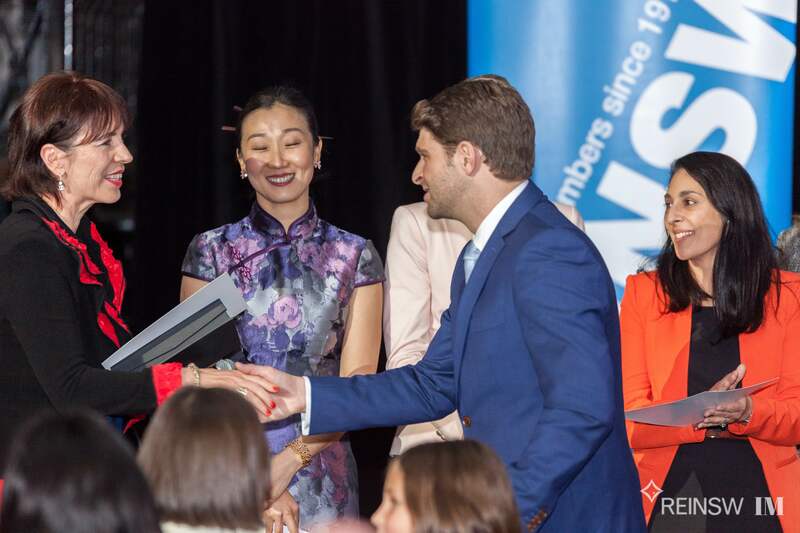 Actor Oliver Burton won the finals of the Real Estate Institute of New South Wales (REINSW) Novice Auctioneers Competition final, held last week at the Powerhouse Museum in Sydney. An annual event for REINSW, the competition is open to entrants over 16 who live in New South Wales who have not completed more than six auctions in the past 12 months or more than eight in their career. They must also have no more than six months experience as a livestock or chattel auctioneer. Mr Burton, who graduated from the National Institute of Dramatic Art in 2015, said he loves being in front of a crowd, keeping people’s attention and putting on a great show. “Being a freelance performer is a difficult gig and I was looking for a profession that makes use of my skills and training. I am thrilled by how welcoming the industry has been and am grateful for the advice that I have received during the competition," Burton said. "I'm a passionate performer so to be able to give a great performance and tell a story and get people excited and emotional about a property is a great use of my skills. I am looking forward to beginning my auctioneering career and am thankful for REINSW for creating an opportunity to introduce me to the industry,” he told WILLIAMS MEDIA. REINSW President Leanne Pilkington said the Novice Auctioneers Competition raised more than $25,000 for suicide prevention awareness charity, R U OK.
Pictured: Leanne Pilkington (left) President of REINSW with Oliver Burton (left) who won the REINSW Novice Auctioneers Competition. Image supplied by REINSW. “The 2018 Novice Auctioneers competition was a great success with more than 30 auctioneers battling it out over the course of the event,” Pilkington said. “Winner, Oliver Burton, of Kensington, who took out the Inner West heat to gain entry into the final was polished, professional and well prepared,” Ms Pilkington said. Mr Burton told WILLIAMS MEDIA winning the competition is a promising start to what he hopes will be a long and successful career in the industry. "The competition has an extraordinary reputation and very impressive list of winners, so to be joining that is a very good start to a new career," Burton told WILLIAMS MEDIA.